A University of Wisconsin law professor, Brad Snyder teaches civil procedure, constitutional law and constitutional history. 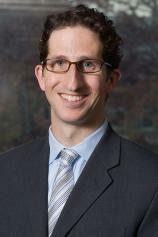 He has written law review articles for the Law & History Review (forthcoming), Ohio State Law Journal, and Vanderbilt Law Review. Prior to teaching law, Snyder worked as an associate at Williams & Connolly LLP and wrote two critically acclaimed books about baseball including A WELL-PAID SLAVE: CURT FLOOD'S FIGHT FOR FREE AGENCY IN PROFESSIONAL SPORTS (Viking/Penguin, 2006). A graduate of Duke University and Yale Law School, he clerked for the Hon. Dorothy W. Nelson on the U.S. Court of Appeals for the Ninth Circuit. Snyder is currently working on a book project about Felix Frankfurter, Walter Lippmann, and other young progressives who lived at and frequented a Dupont Circle salon known as the House of Truth. In A WELL-PAID SLAVE, the first extended treatment of Flood and his lawsuit, Brad Snyder examines this long-misunderstood case and its impact on professional sports. He reveals the twisted logic and behind-the-scenes vote switching behind the court’s decision and explains Flood’s decision to sue in the context of his experiences during the civil rights movement. Astutely and dramatically told, A WELL-PAID SLAVE will appeal broadly to fans of sports history, legal affairs, and American culture.